A bio/chemical monitoring is important not only for medical but also health care management. For 20 years, we have developed several types of detachable sensors into human cavitas sites (conjunctiva, pharyngeal, oral cavity, etc.) with biocompatible materials and harmless MEMS techniques for daily medical & health care in the near future. In this contribution, ultra soft contact-lens biosensors for blood-sugar and -oxygen gas will be introduced as a non-invasive approach at the conjunctiva cavity. And we will demonstrate telemetric mouthguard sensors with BLE 4.0 (Bluetooth 4.0 low energy) unit as invisible & unconciouness sensing-devices in the oral cavity. Kohji Mitsubayashi received the degree of B.E. (1983) and M.E. (1985) from Toyohashi University of Technology, and the Ph.D. degree from The University of Tokyo (1994). 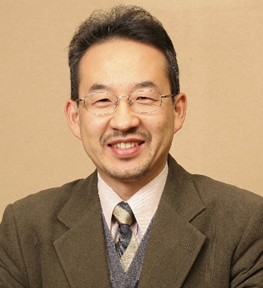 He was an associate Professor at Tokai University. Since 2003, he has been a Professor at Tokyo Medical and Dental University. His research interests includes wearable & cavitas biosensors, gas-phase biosensors (Bio-sniffer), novel artificial organs (pancreas, muscle) with “Organic Engine”, etc.